Let's just put it out there folks, DC pwns the animated universe. Marvel pretty much has the live-action scene on lock unless Batman intervenes, but in the animated world, DC shines, with each new animated film just gets better and better and there's just no stopping them. What's most exciting is that they're incorporating storylines directly from the comics, which opens up an endless supply of possible scenarios. Next up is Justice League: The Flashpoint Paradox based on the comic book series "The Flashpoint", which rebooted the entire DC universe. This one has to be the most ambitious project DC Entertainment and Warner Home have ever undertaken. Spoilers ahead! 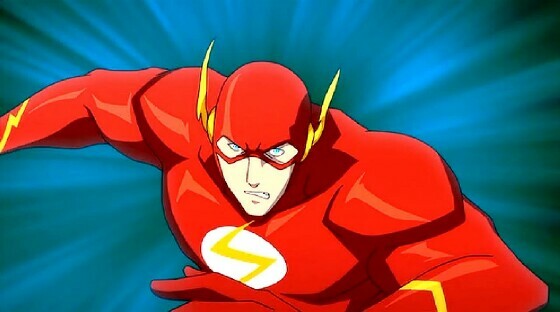 The Flashpoint Paradox puts Barry Allen's The Flash (Justin Chambers) at center stage as he travels back in time to save his mother, who was murdered when he was a child. 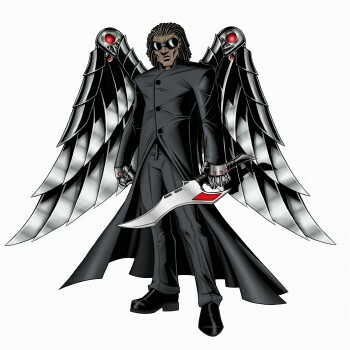 In doing so he causes a ripple in the space/time continuum, creating an all-new universe where he's sans powers. 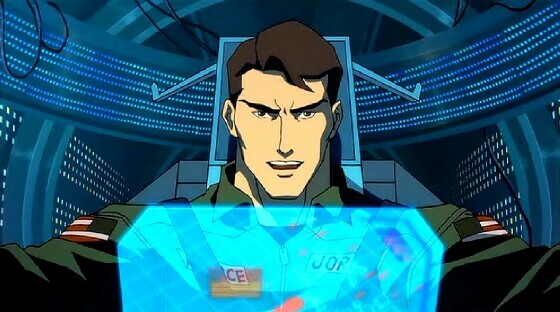 Barry's alteration of time not only affects his timeline but that of the heroes as well such as Bruce Wayne (voiced by Kevin Conroy) is the one who gets shot, with his father Thomas Wayne (Kevin McKidd) taking over the mantle as Batman – but grittier and ruthless (plus he uses guns), Superman's (Sam Daly) ship misses its mark, hitting Metropolis; he's captured by the government and put through some extreme testing. Cyborg (Michael B. Jordan) works as Security for the President, Hal Jordan (Nathan Fillion) never becomes the Green Lantern, and as for Aquaman (Cary Elwes) and Wonder Woman (Vanessa Marshall)? Their people, the Atlanteans and the Amazons, are at war with each other causing mass devastation in Europe. Barry teams up with Thomas Wayne/Batman and Cyborg to try and put an end to the war and also correct the timeline before end of the world. If you've been reading the DC 52 comics, you'll know that "The Flashpoint" is what started it all. And by the end of the film you'll see the characters – at least Batman and Flash, show off their new duds. 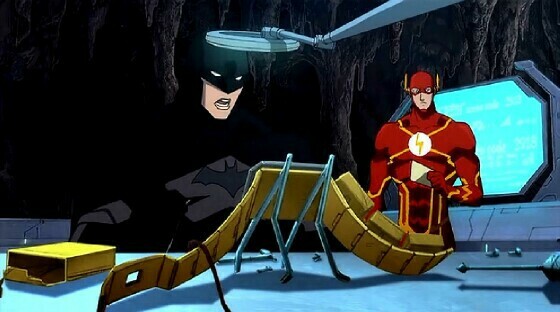 The Flashpoint Paradox leads into the next DC Animated film "Justice League: War". 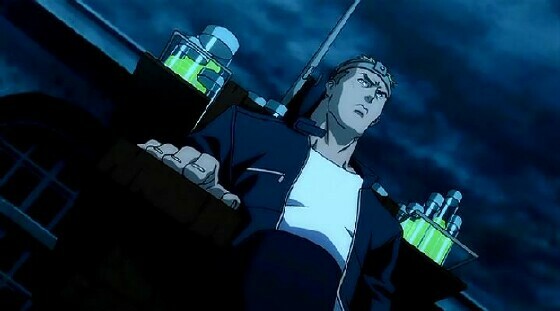 However in this film, there's so much to take in; for starters there's the Japanese anime style animation, loads of cameos (Grifter and Aqualad), and this might be the most violent animated film DC has developed to date. I would've never suspected Warner/DC of adapting "The Flashpoint" into a full on animated feature; I'd have thought they'd have keep going, putting out the simpler stuff based on a singular story. The Flashpoint wasn't just one comic or a small set, it was a major crossover event encompassing the DC Universe that would reboot the entire DC universe. So I was quite surprise when this film was announced; believe me I had some serious doubts that it wouldn't be properly translated. However the series was condensed into one solid film, putting Barry Allen's Flash at front and center and VIOLA! An awesome animated feature was born. 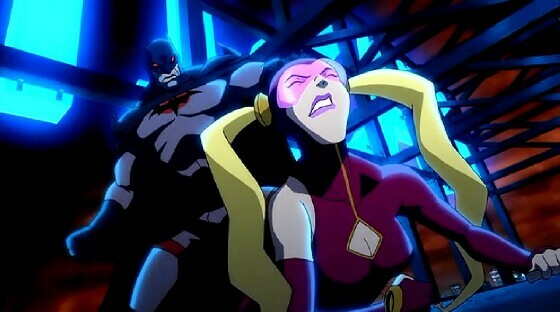 DC/Warner you guys have succeeded in crafting an amazing animated work of art. There's so much action, so much drama, and so much emotion all packed within a 70 minute plus film from the moment it starts until that ending when you see Bruce have the feels for once. From the jump, the animation is what pulls you in and the Japanese anime style works beautifully here with great attention to detail and very fluid animation. And nailing the story is a big deal, I mean you're taking a story that expands sixty plus books and incorporating it into a 70 plus minute film. It's a major feat and while I have not read the series in its entirety, I believe Warner/DC succeeded in translating the tale quite well, keeping all major plot points intact without it feeling rushed. I'm sure there were some exceptions made, again I gotta read all of this series, but I think they pretty much nailed it. The action and the level of violence are favorably amped up to the extreme and I'm glad to see the limits are being pushed as anything going straight to vid, you pretty much have no limits and they really go for it with this one. 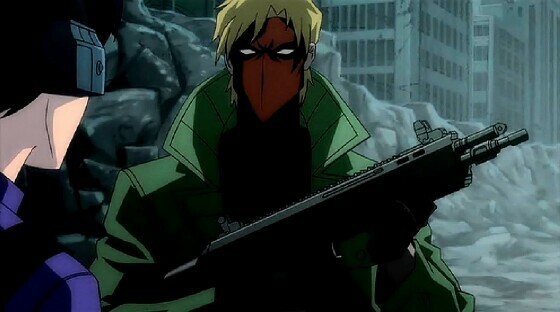 There are a number of cameos but one that was unexpected is Grifter – where the hell did he come from? I had no idea DC absorbed him into they're universe! Amazing and so unexpected, I nearly fell outta my chair when he showed up. With the voice work, nothing was held back brining in the big guns such as Kevin Conroy, Nathan Fillion, my favoritest Lois Lane of all time Dena Delany and Ron Perlman along with a handful of welcomed newcomers such as Justin Chambers, Michael B. Jordan, Danny Jacobs, and Cary Elwes among others. There's so much awesome contained in this one film that you guys would be crazy to pass this up. Superman and Aquaman's heads are freakishly small. Freakishly. Small. 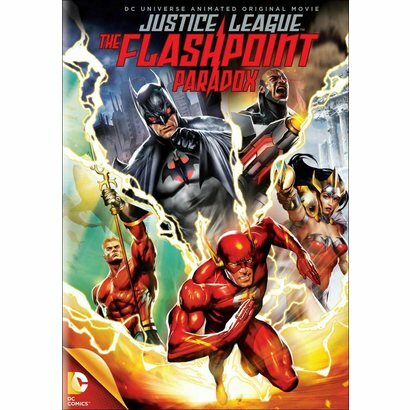 The Flashpoint Paradox is an exciting, action-packed animated event that's not to be missed, especially if you're a fan of the DC animated films but especially if you're a fan of the new 52s. On July 30th, don't walk, run to your nearest retail to get the DVD or Blu-Ray or hit up your favorite digital site and make this cinematic masterpiece a must watch. After The Flashpoint Paradox I can't wait for Justice League: War and I hope we get more films based on the new DC continuity. 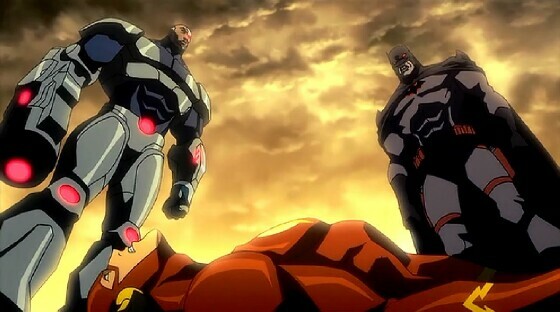 So, out of TOV 5 stars, I can't help but give The Flashpoint Paradox a perfect 5. 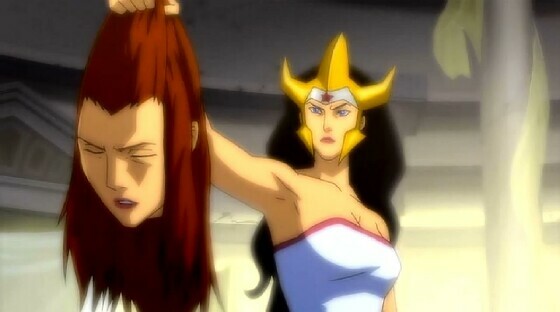 The Bad: What's up with Supes and Aquaman's heads?